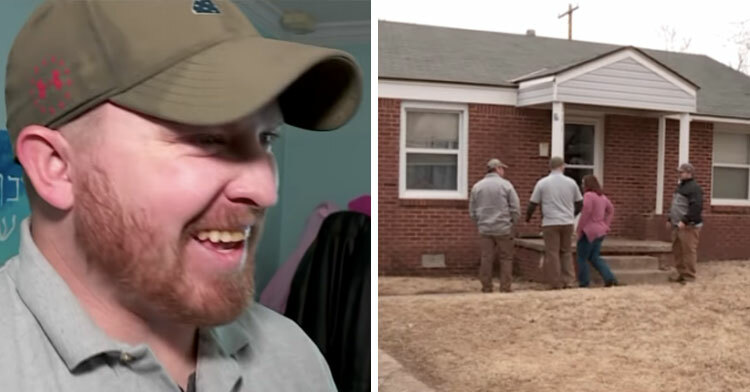 Couple Stunned When Handyman Fixes Heat For Free, Call Him Back Over For Epic Surprise. When you’re already down on your luck and your troubles just keep piling up, it seems as if the universe is intent on throwing curve ball after curve ball until you can’t take it anymore. That’s probably how Stacy and Josh Lemonds felt when they returned home one night to find their normally cozy house freezing cold. The Oklahoma City couple’s heater had finally sputtered out and died… in the middle of winter. But paying for necessary fixes was out of the question, as both Stacy and Josh were out of work. Stressed, the couple asked their church marriage group to support them with prayer. Just minutes later, they received a message from Joshua Matthews. 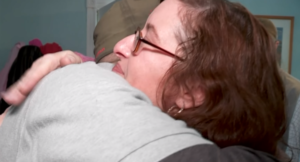 They barely knew the man, but they had taken meals to his home when his wife was sick. He wanted to return the favor — and boy, did he ever! Joshua works as an apprentice with Dane Electric, so he offered to come out and take a look. Unfortunately, he didn’t have good news to share when he did. 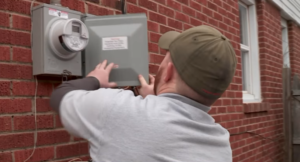 The electric company pulled the meter and declared it a fire hazard due to corroded wires. The Lemonds couldn’t get their electricity back until it was fixed and inspected. But just as the couple was about to fall into despair, Joshua made an amazing offer. Having completed two tours in Afghanistan with the 45th Infantry Division, serving others comes naturally to Joshua. 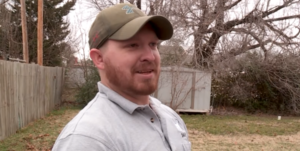 Along with fellow electrician Christian Harbison, he spent several days and nights — sometimes in the pouring rain — replacing the wires and getting the house up to code — all for free! Overwhelmed, Stacy wasn’t sure how she could pay back such generosity. 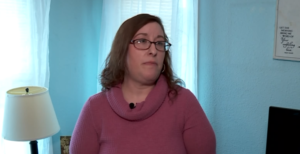 But with the help of a local TV station, she found the perfect way. Joshua’s company sent him out to the house again a few days later, staging a fake inspection. There, a tearful Stacy presented him with a $400 reward from First Fidelity Bank as part of KFOR-TV’s Pay it 4Ward program. “Thank you so much for taking care of our electric. 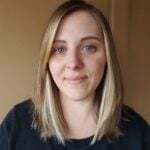 We appreciate you,” Stacy said. The Lemonds must be so relieved now that they don’t have to worry about their heating during the coldest time of year. Joshua deserves all the recognition he’s getting for taking that burden off their shoulders. Learn more about how Joshua was rewarded for his act of kindness in the video below, and share to inspire others to pay it forward.